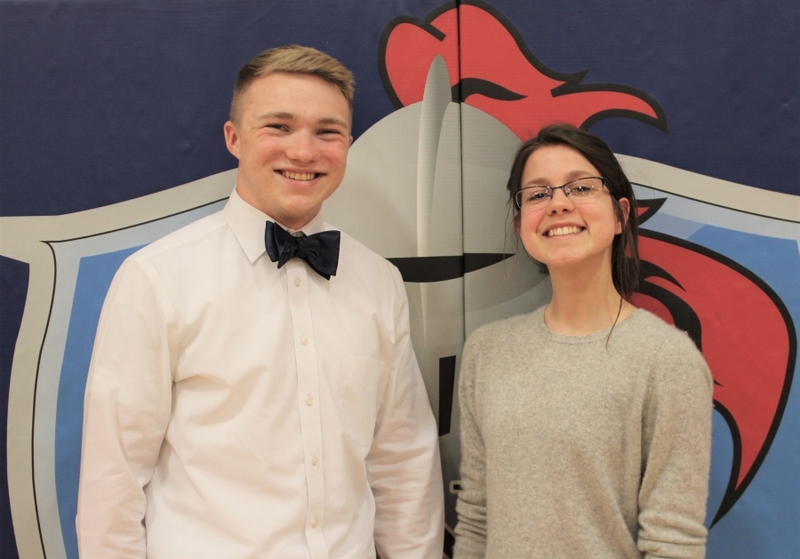 Kings High School is proud to announce their top students to represent the Class of 2019 as this year’s Valedictorian and Salutatorian. This year’s class of 2019 Valedictorian is Caroline Mott. She is the daughter of James and Kelly Mott. Caroline plans to study Geology at the University of Puget Sound in Tacoma, Washington. Caroline will graduate with a 4.687 GPA. Our Class of 2019 Salutatorian is Jackson Hacker. Jackson plans to study Computer Science at the University of Cincinnati. He is graduating with a GPA of 4.682 and is the son of Rick and Wendy Hacker. Congratulations to Caroline and Jackson on this prestigious honor! KHS Graduation will take place on Sunday, May 19 at 7:00 p.m. at the Cintas Center.